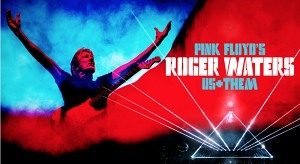 Some great news for our friends in Mexico - due to overwhelming demand, two further dates have been announced for that country as part of the Roger Waters 2018 Us + Them tour, with tickets going on sale next week. For the regular sale of tickets, which starts on TUESDAY, FEBRUARY 27th at 11am CST (local time), visit Ticketmaster.com.mx. Please note: there's a Citibanamex ticket presale beginning on MONDAY, FEBRUARY 26th starting at 11am CST. Using our links also helps toward the ongoing running costs of this site, and is appreciated! Dedicated pages for each newly announced show on the tour are now live, joining the show pages already shown in the 2018 Roger Waters tour area. If any further dates on the Australian/New Zealand/European/South American/Mexican tour is announced, a page for each concert will be in place: the location to find out information on each show, and to see, once the concert has taken place, pictures, video and commentary.